Self-expression, self-confidence. Helps grief & depression. Strengthens nerves, digestion, stomach, spleen, & pancreas. Master Jesus came to overlight this essence, to help us prepare for greater spirituality as citrine helps open our inner sight and hearing. 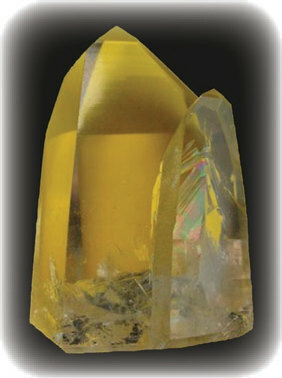 The citrine essence enhances concentration, clears old thought patterns, and is a bridge to access the Divine. It is useful for intellectual communication and balances the rational mind. It is about sovereignty, courage, confidence, and self-esteem. The sunlight it represents is uplifting and helps us to recognize beauty and joy.It works well on all chakra points, but primarily activates the solar plexus, balancing the digestive and nervous systems and bringing clarity and focus. Its ability to energize and gently ground at the root as well as connect to the chakras overhead make citrine a powerful aid in integrating the spiritual and the physical.